Home > News > No Rating, No Rent. The Impact Of EPCs On Rented Properties. No Rating, No Rent. The Impact Of EPCs On Rented Properties. Top law firm Eversheds recently sought to inform its customers of the impending requirements of the Energy Efficiency (Private Rented Property) (England and Wales) Regulations 2015. Why they chose now to remind us of what sounds a fairly dry piece of legislation is anyone’s guess, yet it is worth re-stating as conforming to it is – if you are a landlord – crucial and not something likely to be achieved overnight. The upshot of this, to mangle the language, overly unheralded set of rules, is that landlords have (had) just three years to ensure that their properties achieve the minimum Energy Performance Certificate (EPC) E rating. And that three years is nearly up – with the regulations coming into force on April 1st 2018. Thereafter, a landlord (subject to some exemptions) will be unable to let a property with an EPC rating less than E. No rating, no rent. Incredibly, almost 10% of England and Wales’s 4.2m privately rented homes currently fall below the E rating: so around 400,000 rented properties currently rate only F and G, leading to half a million tenants paying energy bills of more than £1,000 a year. As a manufacturer of energy efficiency products, we are often told that the sector is ‘mature’ or even saturated, and business development might have to come from ‘replacing the replacements’. 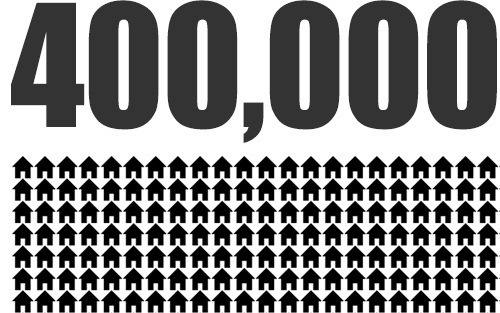 But look at the number above again: 400,000 properties in the private rental sector alone fail to meet this minimum E rating criterion. Private rental sector alone – which suggests that there’ll be significant number in the privately owned non-rented environment too. (Yet that’s another day’s work, and not one for here, now). Either way: it’s an opportunity not to be sniffed at. For our part, we offer a significant range of high-performing options when it comes to super-efficient (and mightily handsome, we might add) windows, patio doors and entrance doors. Simillary, if you are a building professional retained or consulted by landlords, either for the holders of a handful of properties, or one of the behemoth flat barons; there’s work to be done too. Familiarisation with the new legislation should lead to other consultancy and advice moments; and – hopefully – specification and project management opportunities as reality dawns and the dreaded ‘E Day’ draws near.